I do not consider myself a Conservative, nor do I consider myself a Liberal; I’m neither Right-Wing nor Left-Wing. But few years ago, I proudly joined the ranks of those that would later go on to be described as Social Justice Warriors, because of the culture at the time and because of my own personal biases. To this day, I maintain many of the same political stances, and yet I find myself ideologically opposed to most of those I once considered like-minded individuals in this Culture War. In hindsight, I can see where that divide occurred, but more importantly I can see where Comicsgate is starting to head, and it’s troubling. It is troubling to see the state of our culture today because it is such an extreme difference from how culture was just 5 years ago. Extreme Leftists wield a platform that presented a drastically different point of view that many people found welcoming. As the years went on, those viewpoints became skewed and eventually contaminated by what would become the Social Justice Warrior mentality. They were able to infiltrate, contaminate, and destroy any group with such ease simply because they’ve had time to refine their techniques. Today, they stand in positions of power everywhere because we allowed them to be there, we demanded that they be put there, and now we have no one to blame but ourselves. I joined the military in the early 2000s after completing my studies, I did so because I answered the call of patriotism when my country called. Having grown up in a very religious household, my world views were very narrow minded and I found myself wanting to learn more about other’s cultures and religious views. But the more I learned, the more questions I had about the world around me. I discovered the world of science within social media, and I was fascinated by all that I learned within a short amount of time. 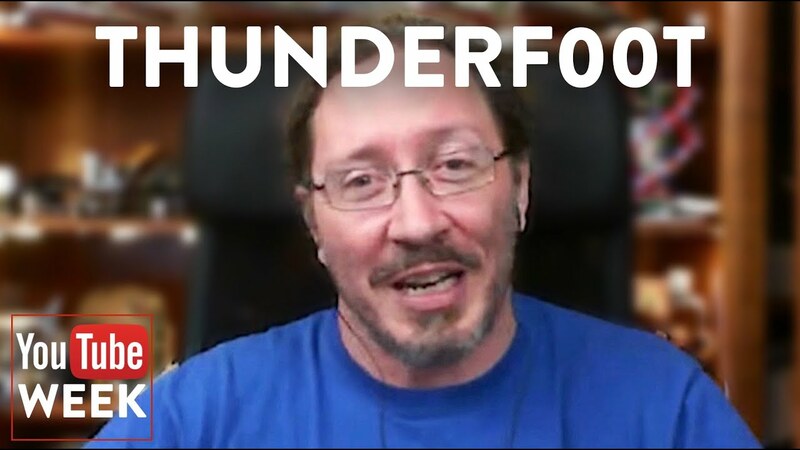 One YouTuber stood out from the many content creators, Thunderf00t, the way he presents complex subjects in a simple to understand way is superb. I was introduced to the works of Dr. Richard Dawkins via his book The God Delusion, and within its pages I learned more answers to the questions that had been plaguing me for years. From Dr. Daniel Dennett, I learned that it is perfectly acceptable to learn as much as you can about the world around you. Dr. Sam Harris taught me that ideas should have equal measure whether they are ideological or religious, and must be held to equal intellectual honesty. Mrs. Ayaan Hirsi Ali showed me what it truly means to stand by your principles and your moral fiber. 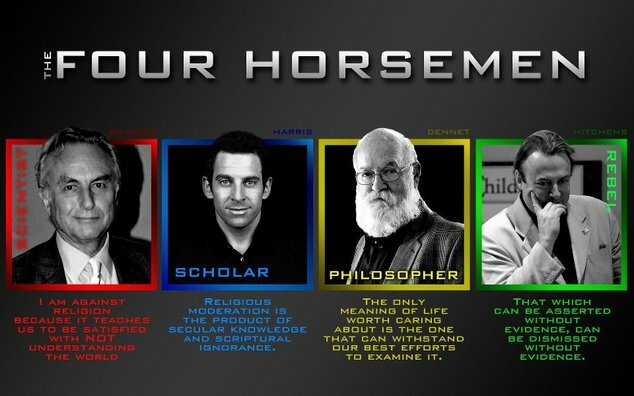 But it was from Mr. Christopher Hitchens that I learned one of the most profound lessons that to this day guides me: “what can be asserted without evidence can be dismissed without evidence.” These were the notable “Four Horsemen plus one Horse-woman of Atheism,” and as they gained worldwide attention for their criticism of the world’s culture they helped shape a generation that demanded change. Eventually, I would abandon my religion and would go on to become what I am today: an atheist. In my role as a military leader I was expected to hold myself to a higher ethical standard than my subordinates. “For God and Country,” was the chant that was repeated, patriotism became forcibly attached to religion and it seemed that one could not exist without the other. 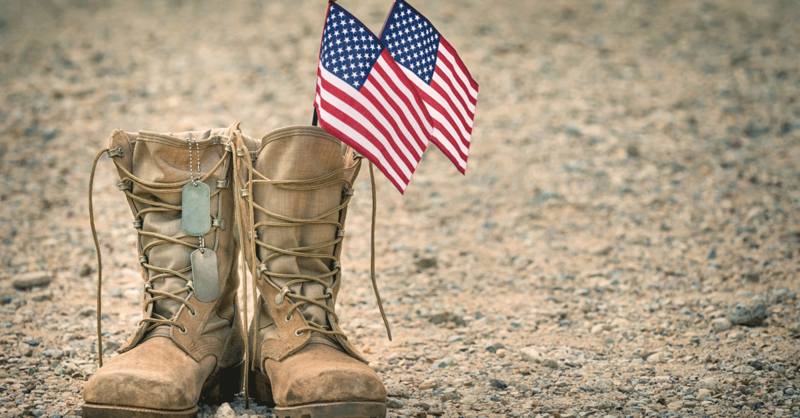 Military traditions such as the folding of the flag ceremonies became closely linked to Christian religious tenets. I was not the only “atheist in a foxhole,” but it surely felt like it. In some parts of the United States it is still illegal for atheists to hold public office. These were the social injustices that people like myself sought to correct. This movement would become known as New Atheism, and with an ever-increasing number of people, this group stood for the advancement of science, reason, and equality for all people regardless of their religious beliefs or lack thereof. Their only demands were simple: keep all religions out of our public schools, our tax-payer supported institutions, our government, and uphold the separation of church and state. As the movement grew, small factions began to form from within. While guided by the principles of New Atheism, these smaller groups sought to include other areas of social and political interest. These groups organized themselves within New Atheism into something called Atheism+ which sought to include a more feminist friendly agenda into the anti-religious rhetoric. Disguised as academics, SJWs infiltrated colleges and academia; using their closeness to the Horsemen they pulled a blindfold over our eyes. Slowly, bloggers replaced established authors and academic giants as the authority figures regarding sociopolitical movements. 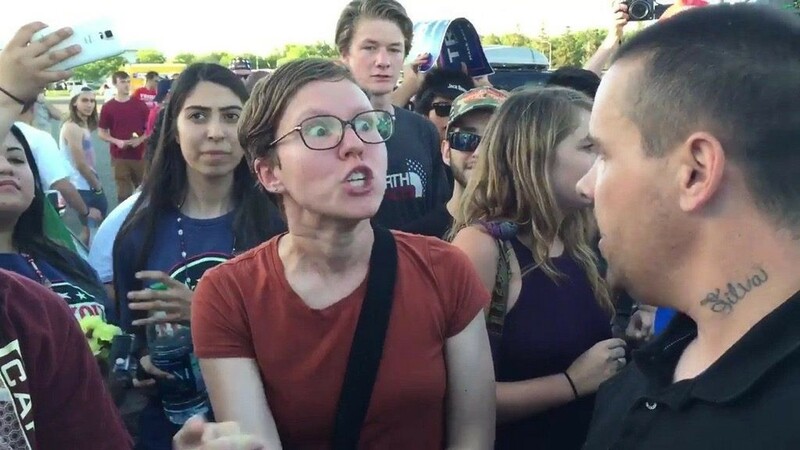 Their demands for equality became cries for special treatment, double standards were liberally applied to those within the group and those outside of it. As New Atheism became fractured and began to lose its credibility as a movement, smaller groups branched out from the remains, these groups would label themselves Skeptics and Freethinkers. 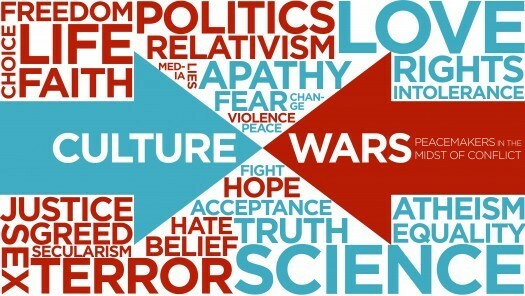 Skeptics criticized various parts of culture to expose the clear bias that demanded a double standard be applied. Freethinkers continued the campaign to move our country from a heavily religious community into a more secular one. These two groups were often compared to some of the most notorious and barbaric members of our bloody human history, labeled by the right community as Nazis, hate mongers, and in some cases, demands for their incarceration were raised. Using their more established followings, the Skeptic community branched out into other areas of culture that would be later attacked by the SJW campaign. Deplatforming became a more common SJW tactic that was used against former prominent New Atheist members, Dr. Dawkins was recipient of this type of attack on multiple occasions. Doxing was a valuable tool used to further intimidate those found to be unfavorable, troublesome, or problematic. Contacting people’s employers in a clear imitation of the Twilight Zone episode “Four O’Clock,” with the hopes of getting those individuals fired was a frequent tactic that proved highly successful for the SJWs. This rise in power attracted more influential personalities to their movement, which invigorated their viewpoints and allowed them to reach out to the public with greater success. The same public that had become disillusioned with the highly religious rhetoric openly accepted this new form of thinking. As the SJWs continued to gain notoriety and influence, they abandoned the Atheism+ mantle and focused on their own political agendas. With the backing of academia, their credentials allowed them to infiltrate into various areas of pop culture with relative ease. Their well-practiced tactics and honed weaponry gave them the power to insert themselves into highly influential positions across various markets. Their extreme viewpoints quickly exposed their true agenda however, their well-established network of operatives within academic circles prevented any true opposition. Without worry, SJWs infiltrated the press which allowed them to control communication flow and narrative. With this new acquired power, they quickly took over the gaming industry which again allowed them to branch out their reach. As more individuals joined their cause, established personalities within their movement began to see the fallacy of the SJW movement. These individuals were quickly discarded, shamed, and effectively blacklisted in their respective professions. What had started as a rebellion against the oppressive Right-Wing and their religious doctrine turned into a mad grab for power against any imagined status quo. The fight against the oppression of women quietly turned into the fight against the oppression of minority groups, followed by the fight against the oppression against people of color, and finally into the fight against the oppression of LGBTQ groups. While these groups have some very valid complaints and a long list of examples of wrongs done to them, this was not the focus of SJWs. Instead, they sought to replace the entire structure, demands for proper credentials and ethics were labeled as harassment and anti-feminist ideologies. Acceptance and tolerance became assimilation by demand, accept these changes or be labeled as the enemy. 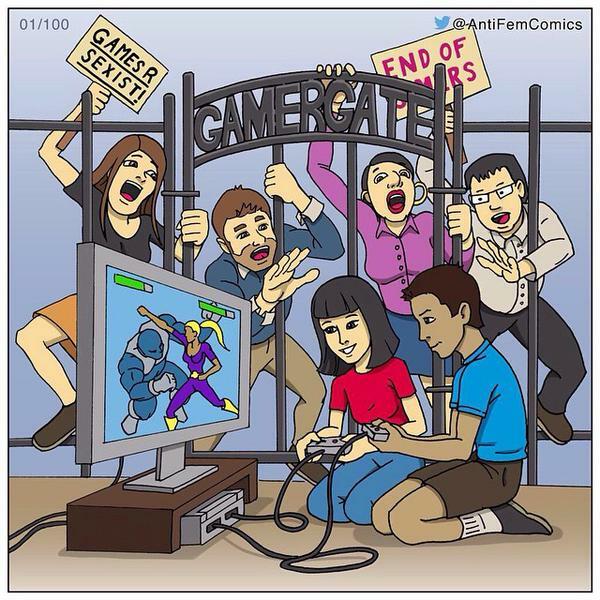 With the full force that they had acquired over multiple campaigns, the SJWs proved to be a formidable opponent. History has a way of repeating itself, and while the SJWs were focused on changing history they forgot to study it first. “Power tends to corrupt, and absolute power corrupts absolutely,” just as the Right-Wing created the social justice warrior, the Left-Wing SJWs created Gamergate. The GG movement exposed the deep lines of corruption within the SJWs grab for power, and while the SJWs quickly used their tools to quiet and defame prominent Gamergaters, by this point people had begun to see through their narrative. Secret code words and handshakes were created by the SJWs as they infiltrated the Gamergate movement, grasping at any small infraction to smear legitimate criticism. Quote mining became the new SJW weapon, this poison was used very effectively against Gamergate and drove this movement effectively into silence. As the gaming community collapsed under the SJW regime, they moved their sights onto the next target: Comics. With their massive success in film, comics were a final frontier that could give the SJWs the last bit of power that they craved. By this point, and with their large number of victories in hand it was easy for them to infiltrate this group. From the ashes of Gamergate, rose Comicsgate. Members of the gaming community were more than familiar with the SJW tactics, and quickly joined this new movement. Comics has been a tradition for many people, whether their exposure to them is solely from cartoons, movies, or other pop culture references, this piece of culture resonates with them far more. With each character change that was made, more people joined the Comicsgate movement in protest to the unnecessary diversity invasion. Critics of this medium quickly pointed out the flaws within the SJW narrative, and while these critics have been able to survive much of the onslaught of the SJWs, there are still campaigns in place that threatened their standings within social media. SJWs have been drunk with power for many years, this has allowed them to see themselves as the moral authorities in many areas within culture. 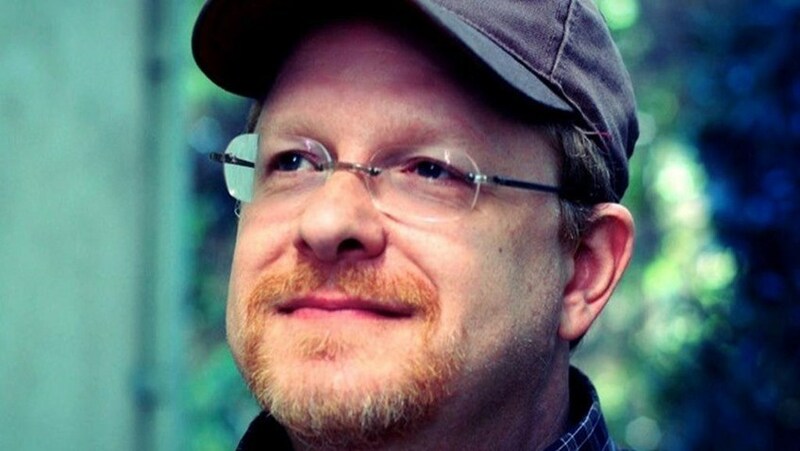 We have seen how brazen they have become simply by looking at the tactics that people like Mark Waid have used to prevent any opposition from speaking out. The public has seen the true face of the SJWs and for that reason they have begun to speak openly against them in mass. Each day, more people abandon the tribal mentality in exchange for a general interaction between individuals. As product lines fail, which they have been over the last months, the market will force those ideologues out of positions of power. As they find themselves driven out, they will become louder, their tactics will become more feverish, and their own blindness will be their downfall. Every empire that has existed will inevitably fall. SJWs have created their empire very successfully, but in their rise to power they created powerful enemies against themselves. 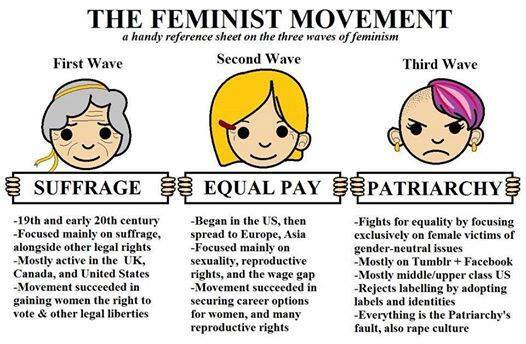 Every group, culture, movement that has been invaded by SJWs requires some financial support, however their tactics have driven away any sustainable market. Customers are no longer shopping just with their wallets, but with their pocket computers. People are tired of the political narrative, and the regurgitated claims leveled by SJWs against everyone. They saw themselves as being above laws, rules, and regulations that they themselves demanded be placed; each day their perversion of those rules is being exposed. PREVIOUS POST Previous post: Gail Simone Lying as Carrey-esque ‘Cable Guys’ Destroy an Industry?